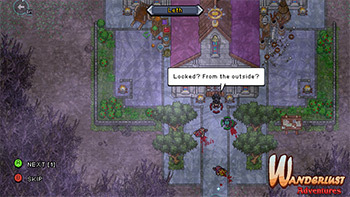 Wanderlust Adventures is an online, free-roaming, action adventure RPG. 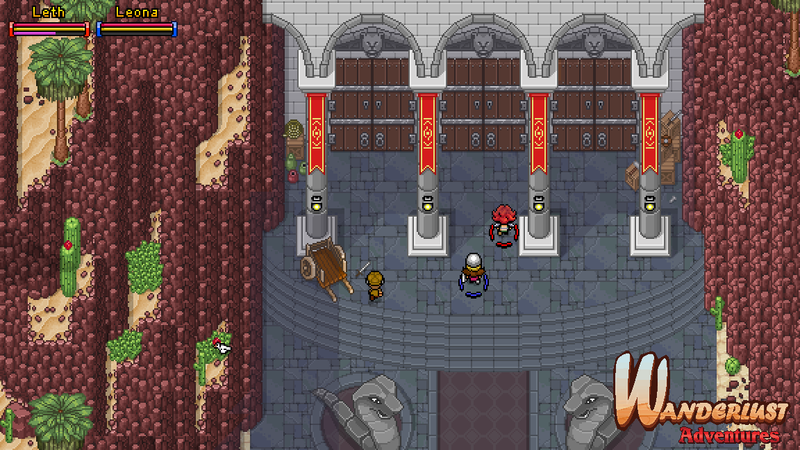 Following the events of Wanderlust: Rebirth, aspiring adventurers are summoned to prevent the return of an ominous force, and restore unity to the world of Valandria. Join fellow heroes online, explore vast and deadly landscapes, and capture companions to aid you in your quest. 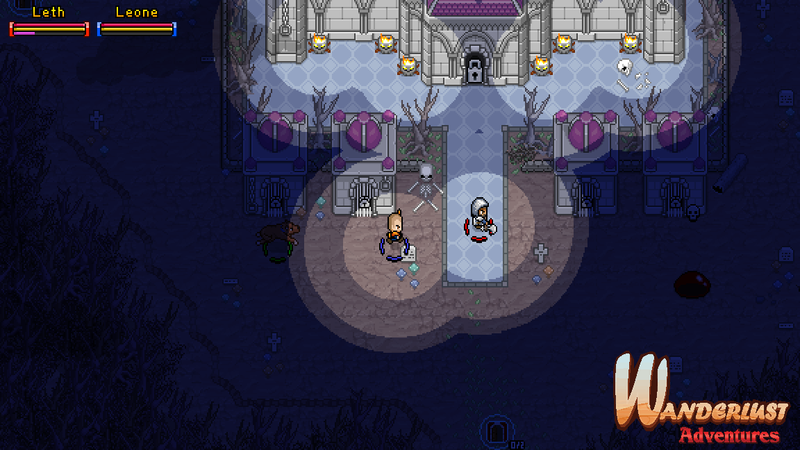 Forge powerful items, salvage artifacts, and crush the souls of menacing foes, as you journey into the darkness to become a hero of legend. 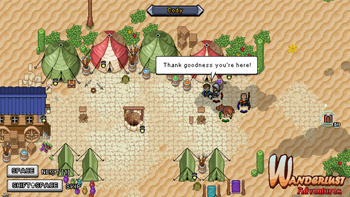 After Wanderlust: Rebirth's launch on Steam, one of most common requests made by fans was for the addition of an open-world 'Adventure Mode'. Unfortunately, the implementation of an open-world mode posed serious challenges because of the linear, chapter-based design of Rebirth. So, in October of 2012, Matt and Jason decided that in order to create the best 'Adventure Mode' possible they'd have to make a new, stand-alone game. 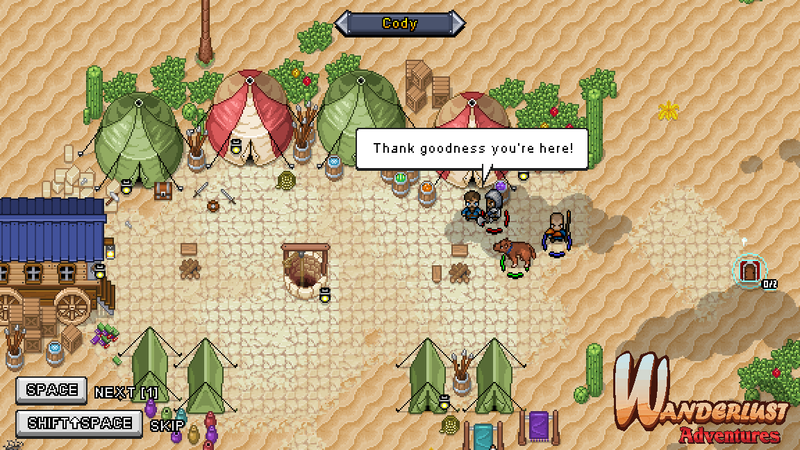 Thus Wanderlust Adventures was born. They began working on Wanderlust Adventures in January of 2013 and it aims to be a fully non-linear game, delicately seasoned with all new gameplay mechanics that are specifically designed to enhance the open-world experience. 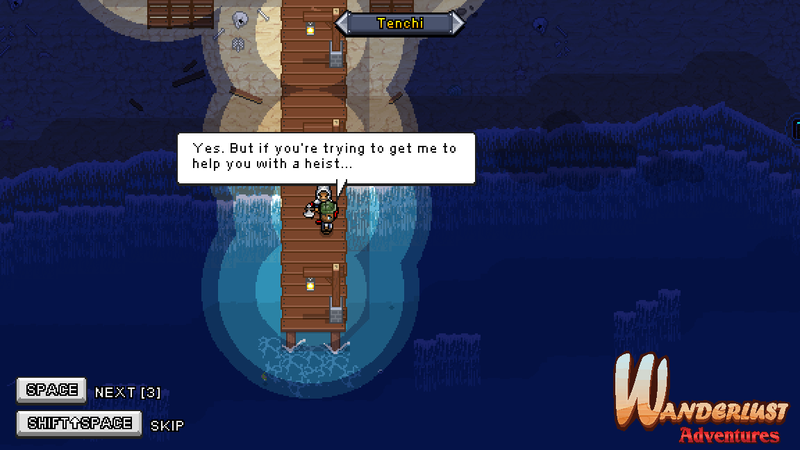 Chucklefish will be publishing Wanderlust Adventures just as they did its predecessor, and Steam has already accepted the game for digital distribution. 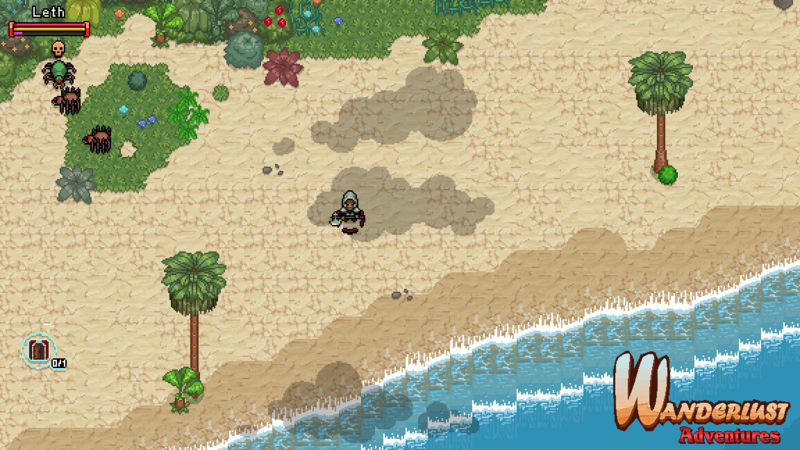 Wanderlust Adventures will be a Steam-only game and is launching for PC/Windows. Yeti Trunk was originally founded as "Team Wanderlust" on December 24th, 2006. 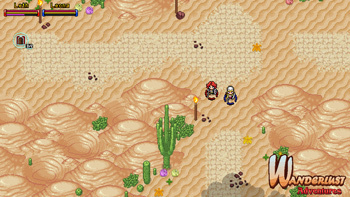 Matthew Griffin and Jason Gordy had been working on the first iteration of Wanderlust - titled Wanderlust: The Online Adventure - before rebooting the game design into what would later become Wanderlust: Rebirth. 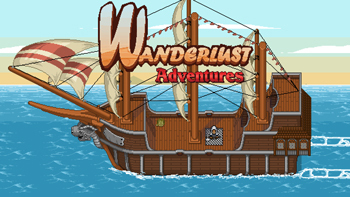 Wanderlust: Rebirth was released outside of any distribution platform on June 14th, 2011. 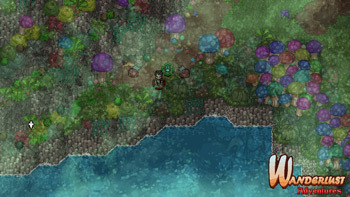 Later, when it was voted into the Top 100 Indie Games of 2011 (Indiedb.com), it drew the attention of Tiyuri, who would later found the now-popular indie studio Chucklefish. Chucklefish decided to make Wanderlust: Rebirth its first published title, pushing the game to Steam on July 27th, 2012. 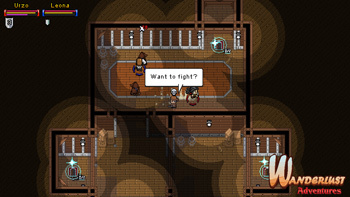 After spending time incorporating a PvP mode into Wanderlust: Rebirth post-launch, Yeti Trunk spent a few months developing two iPhone games, Puckbang and Gubs (A Gamewright License). 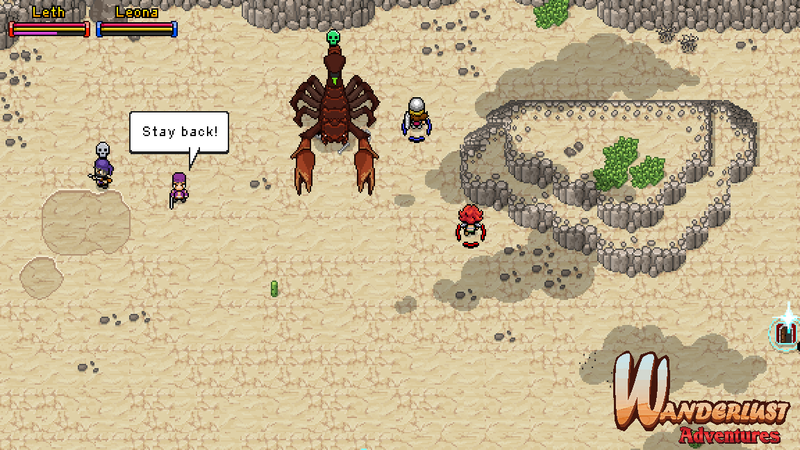 Wanderlust Adventures is their current project. 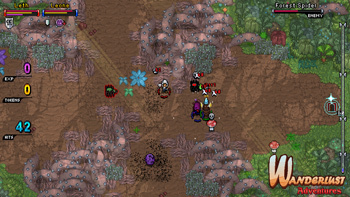 4 Player Online Co-op, Adventure & Survival Modes! Steam networking API allows for seamless hosting/joining of games. No more port-forwarding required (like in Wanderlust: Rebirth). A massive, partially randomized, free-roam world to explore! 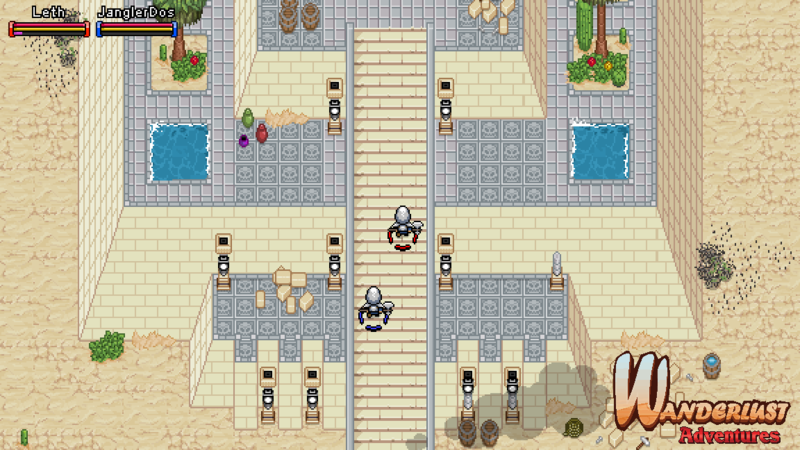 Multiple randomized dungeons to conquer! Dynamic Events help sculpt a unique adventure each time you play! 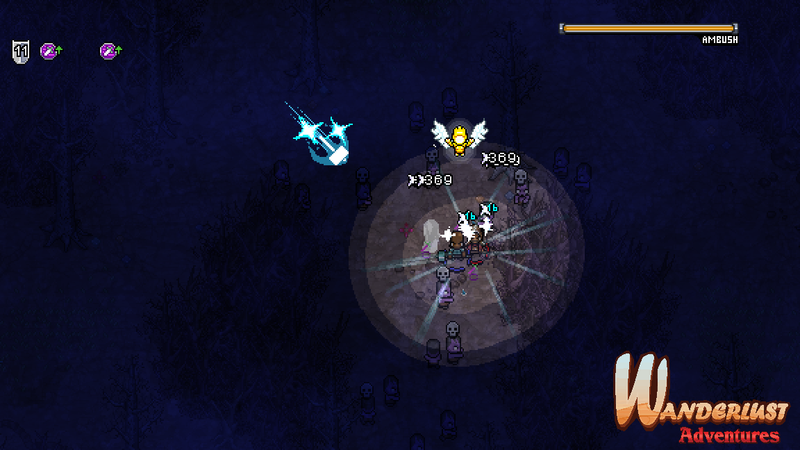 Renowned (Mini-Boss) versions of many enemies may spawn. 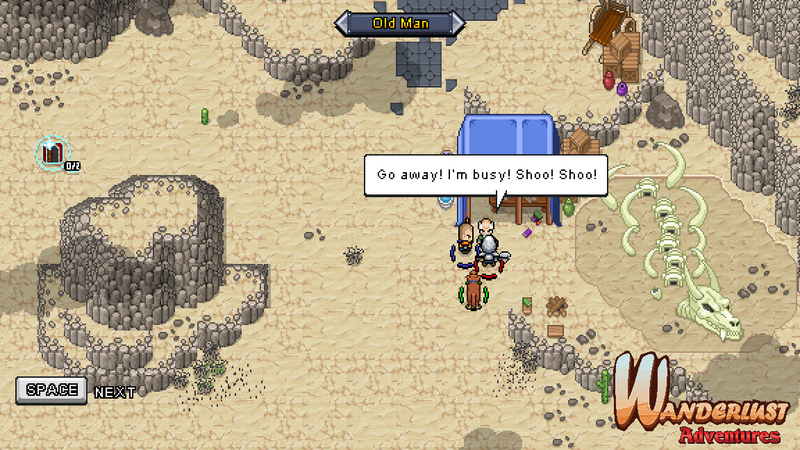 A treasure chest is rewarded for defeating one. 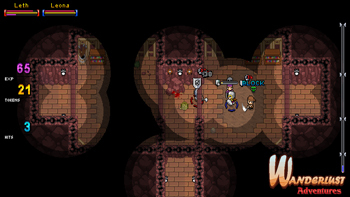 Ambushes have a random chance to occur almost anywhere in the world, including inside dungeons! 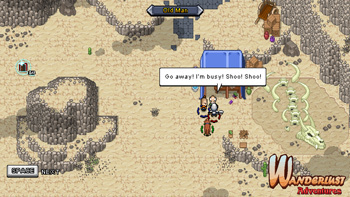 A treasure chest is rewarded for surviving an ambush. Warrior: The best melee class. A strong defender. May also deal the most damage to a single target. Beginner to Expert Challenge. 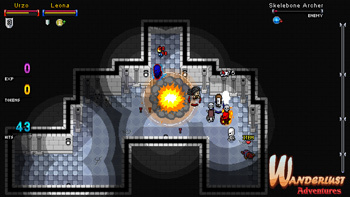 Assassin: Strong crowd-control and strategic class. 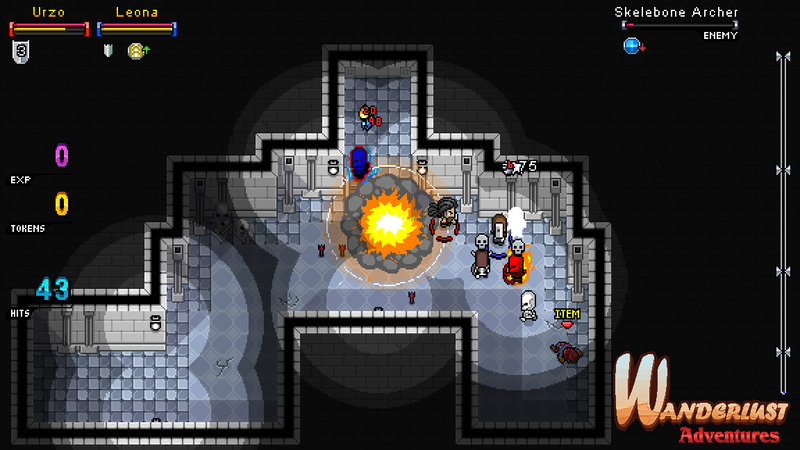 Able to dash through enemies, throw various potions, and deal major backstab damage. Expert Challenge. Crusader: The best support class. 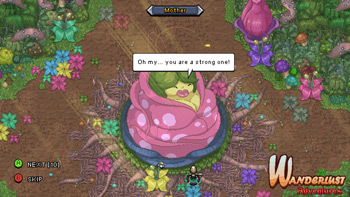 Healing and enhancement abilities. 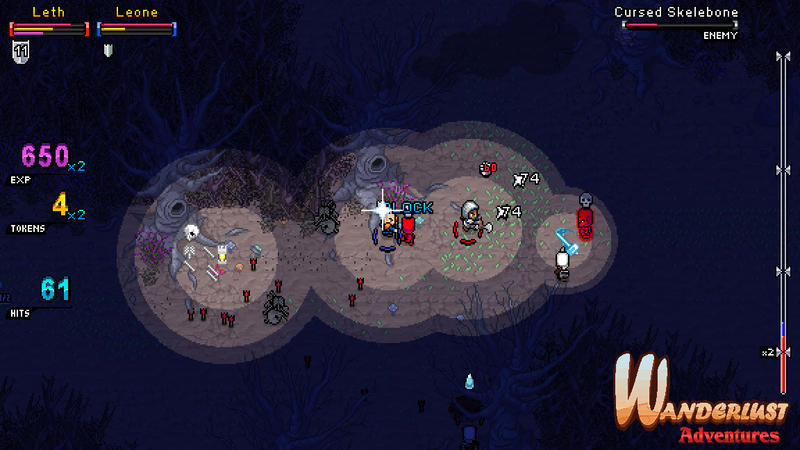 Extra damage against evil and undead enemies. Veteran to Expert Challenge. Sorcerer: Precision ranged class. Strong offense but weak defense. Combine proper elements to deal critical damage. Beginner to Expert Challenge. 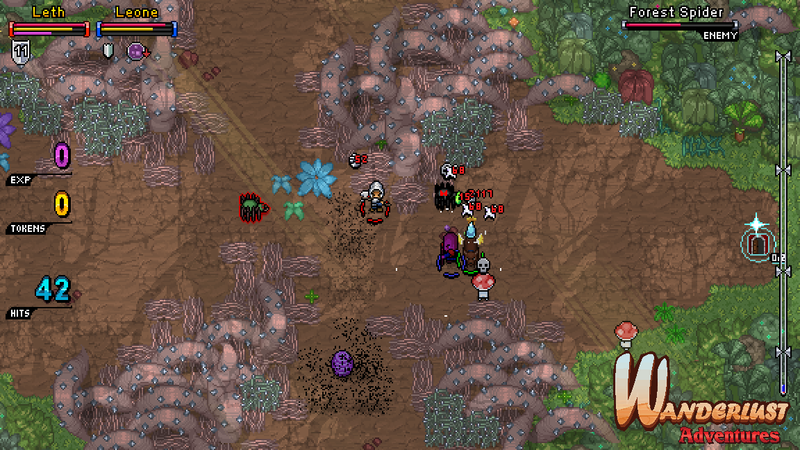 40+ enemies to battle, each with their own abilities and artificial intelligence! Spawns are pre-designed but randomly placed in the world. 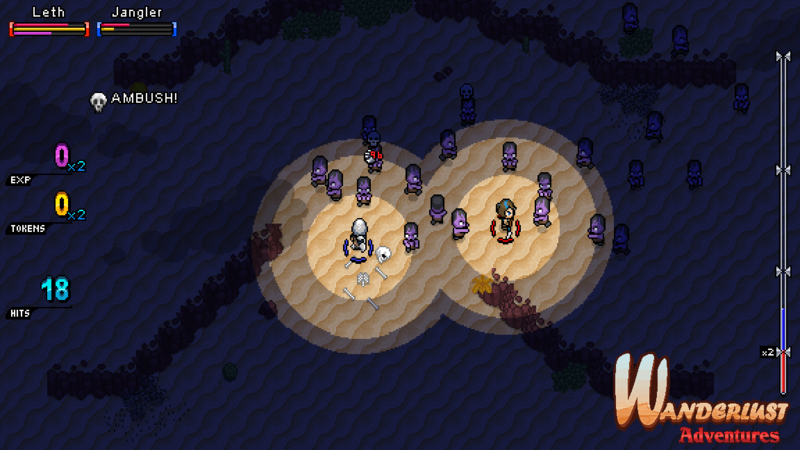 Even bosses and mini-bosses can appear at random! If a player is not prepared for a fight, they may simply run past or away from it (except in dungeons). Explore or fight, it's all up to you! 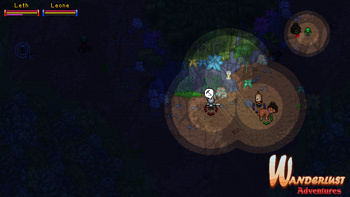 A day/night cycle which impacts gameplay! Enemies are harder and nocturnal enemies appear at night. A brand new loot and crafting system! 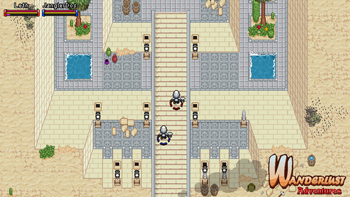 Treasure chests rewarded for exploring and/or defeating challenges. 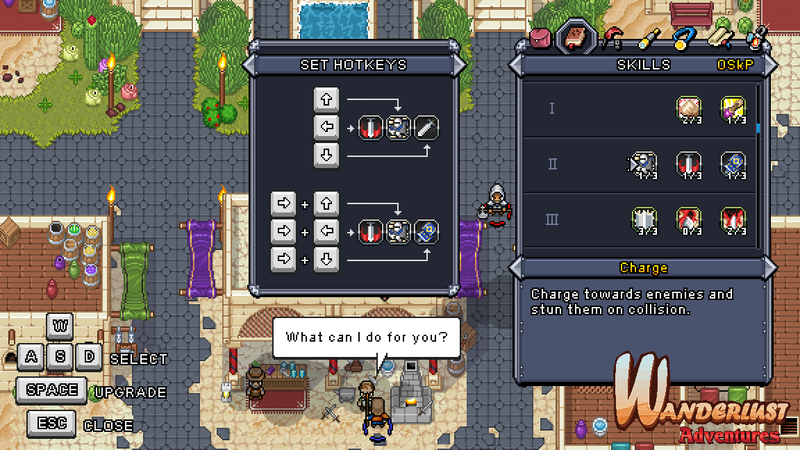 Rare blueprints can be turned in to Crafting NPCs in town, who will craft new items and enhancements if the player possesses all of the material and monetary requirements. 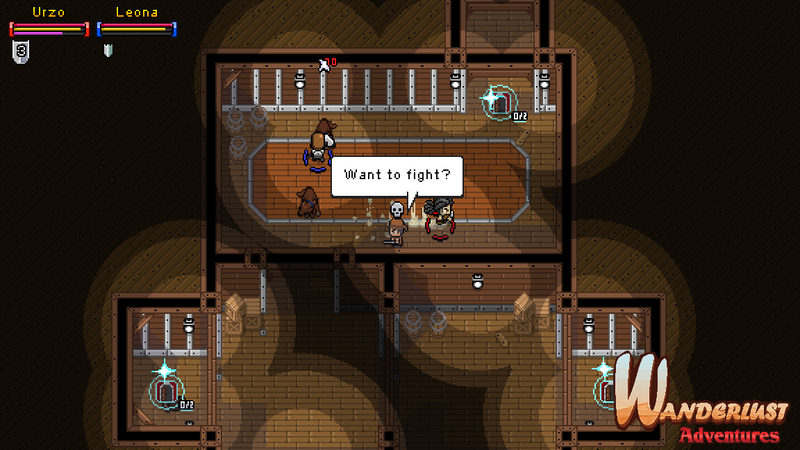 An expansive companion/pet system where nearly every enemy can become your ally! 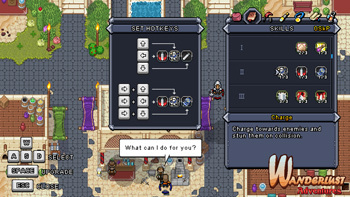 Enemies have a small chance to drop a "Contract", which – like the blueprints that can be turned in to craft powerful equipment – may be turned in to a Mercenary NPC in town to unlock a new companion. Unlocked Companions can then be purchased and selected to follow (and help) the player as they travel the world. Companions can be awarded experience by gifting them materials normally used to craft equipment.